Aporia: Beyond the Valley is an atmospheric puzzle-mystery game that caught our eye a couple of months ago, and now it’s got a release date: July 19. Explore the horizon of gaming with these exciting upcoming PC games. 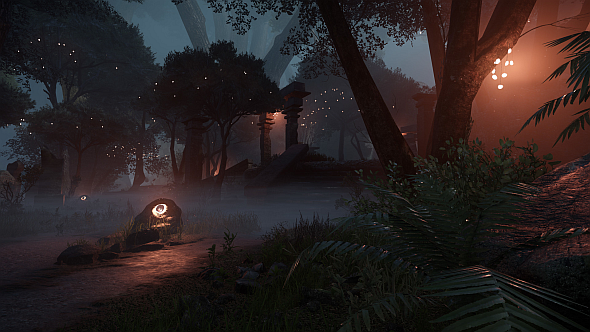 One for fans of Myst, The Witness, and similar games, Aporia sees you wake in the beautiful yet desolate world of Ez’rat Qin, with no memory of what you’re doing there. As you explore in first-person and solve puzzles, memories of its original inhabitants will play, hinting not only at what happened to them, but at your own apparent connection to the place. But because you can explore the land freely, some clips may play out of order, leaving you to make the pieces fit however you can. Sound good? You can grab Aporia on Steam for £14.99 ($16.99). If you pre-order before its release date you’ll get a 15% discount.